Jagged Edge is an American R&B singing group that were originally signed through Jermaine Dupri's So So Def Records to Columbia Records. The group is made up of twin lead singers Brian Casey (nicknamed Brasco) and Brandon Casey (Case Dinero) (both born October 13, 1975), Kyle Norman (Quick), and Richard Wingo (Wingo). Wingo was a late addition to the group, added after Kandi Burruss of Xscape recommended he be added. Kandi was also the one who brought the group to the attention of Dupri. Wingo was a late addition to the group, added after Kandi Burruss of Xscape recommended he be added. Kandi was also the one who brought the group to the attention of Dupri. The group, with a style similar to New Edition, Jodeci, and Dru Hill, has had a number of hit singles, many of which are produced by Dupri. 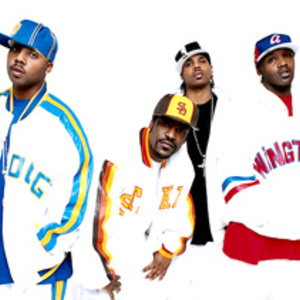 Identical twin brothers Brian Casey and Brandon Casey, Kyle Norman, and Richard Wingo--known collectively as Jagged Edge--have built the group's career and reputation from one simple premise: make great music and make sure the music's for real.